Models always have a team of stylists to make them look glamorous while on duty. But once they get out of their designer garb, sky-high shoes, and flawless makeup, what do you think these models have on? It’s not surprising to find out that it’s mostly jeans. Off-duty, models like to be comfortable enough to do their other jobs like take care of their kids. Say what you want about Kendall Jenner and how she got into modeling but her off-duty style is always worth checking out. The 20-year-old wears a lot of skinny jeans and yoga pants and has also popularized culottes. She often teams these up with figure-hugging cropped tops. Kendall is a fan of the brands Paige and L’Agence. Kendall’s closest model pal, Gigi Hadid, has a more diverse off-duty style. One minute she’s casual-chic and the next, she’s sporting a moto jacket with a pair of black jeans. She also doesn’t seem to shy away from baggy pants. 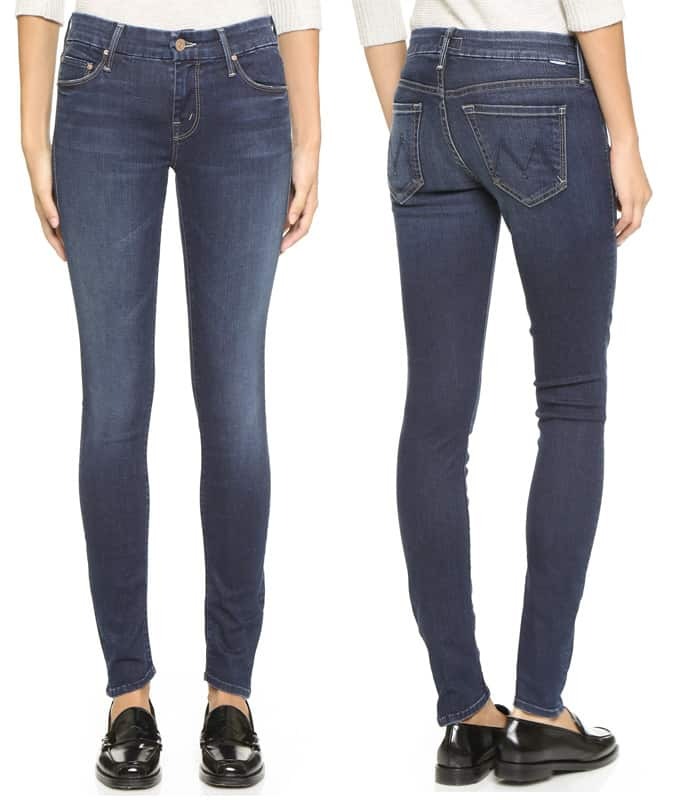 Gigi loves Frame and J Brand for her jeans. The 34-year-old regularly mixes bohemian with a street-chic aesthetic. She can be seen sporting ripped jeans one moment and wide-legged pants the next. The brands she gravitates towards are Re/Done, Black Orchid and Mother. The 23-year-old’s off-duty style is rugged. She’s often in ripped jeans and leather jackets. You can see her wearing a lot of J Brand, Frame, and Paige. The 23-year-old dresses her modelesque frame in a lot of Frame and Closed denim. She mixes up casual with tons of dressed-up elements, veering away from the norms. The 32-year-old has a feminine style off the runway. But she’s also not immune to the charms of casual dressing that she always takes up a notch with interesting accessories. Miranda Kerr is a fan of the brands Blank and Mother. You can trust Heidi to always come up with the most stylish casual garbs. She plays with silhouettes a lot, layering oversized knits over boyfriend jeans. She also loves flannels. Some of the brands she often wears are J Brand and Paper Denim. The 26-year-old Victoria’s Secret model mixes rugged with feminine pieces. You can see her wearing edgy skinny jeans and boyfriend pants with feminine bags. She swears by the jeans made by J Brand. There’s always something new to expect from Jaime King’s casual style. She really knows how to dress up for a shopping day or a day at the salon with perfectly-fitting jeans, striking tops, and timeless outerwear. She loves the brands Parker Smith, Mother, and Frame. The 25-year-old can wear anything – from leather pants to tight-fitting jeans. Her style is edgy but with a touch of class. Rosie is a big fan of the brand Paige. She’s often in this brand when she’s out and about. The 28-year-old is also a fan of layering, especially when traveling. There’s always outerwear to go with her pants look. The 30-year-old doesn’t shy away from tight jeans that show off the shape of her mile-long legs. 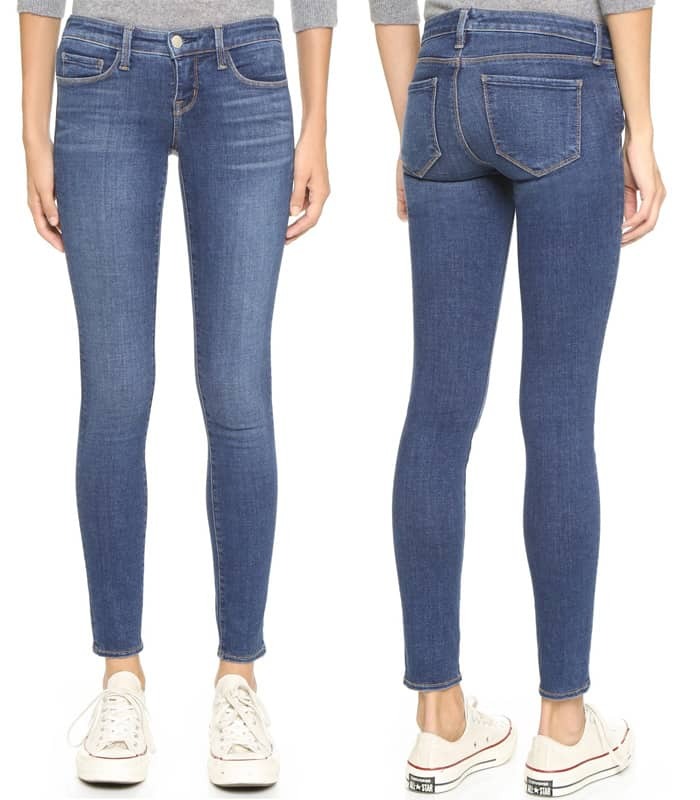 Saint Laurent and Frame are her go-to jeans brands. These models understand the importance of investing in a good pair of jeans. 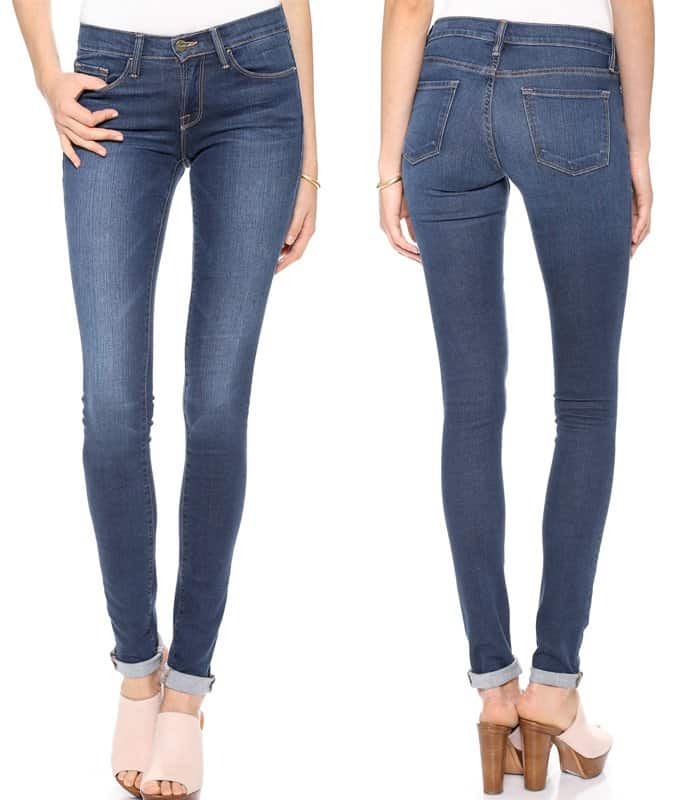 J Brand, Frame, Paige Denim and Mother are clearly a model favorite.